This school year, teachers received a salary stipend of $3,827 helping us recruit the 400-600 new teachers we need each year and keep the good teachers already in our schools. Additional training and materials are continuously made available to our teachers to improve their classroom skills. Before the referendum, reading materials were limited, rarely replaced, and digital text was barely accessible. Literacy intervention is being used to help all elementary students read at grade level - in 14 to 18 weeks on average. Since renewal, referendum funds have purchased over $1.28 million in books, e-readers, and laptops. Prior to the referendum, all summer school had been eliminated. Now referendum funds help supply materials and training for the Summer Bridge program. Additional support and training for college readiness is being offered in 35 middle and high schools. Before the referendum, funding had been slashed for music and art programs. The referendum purchases supplies like sheet music, instruments, paint, paper, and easels. All high and middle schools have arts computer labs and 24 elementary schools offer digital art. Student participation has tripled in our strings and guitars programs. Instrument rental fees are waived for students who can't afford them and High Schools have band uniforms. Over 1,000 field trips have allowed tens of thousands of students to learn outside the classroom. 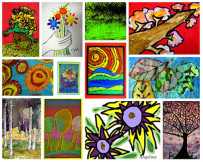 Download an arts specific overview. Before the referendum, district resources went to maintenance rather than new technologies. All schools have wireless, mobile computer labs. Installed over 2,300 Smart Boards, with the goal of 100% of elementary classrooms by August 2017. Libraries are able to offer greater selection through Kindles and e-books. Each school receives $2,000 for new books each year. 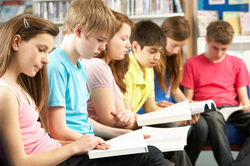 Programs allow students to study the same curriculum at each student's reading level.